The patriotic USA Flag golf towel by JP Lann is a great design for any golf bag. Made with a machine washable soft cotton and durable Jacquard weave construction. 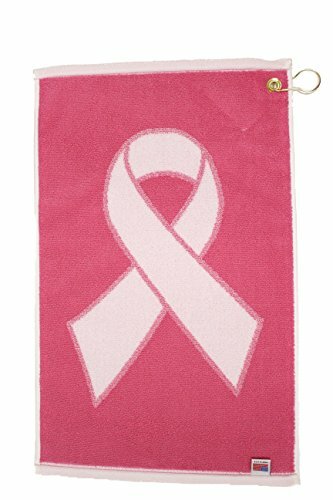 USA towel measures 16" x 24" and includes a brass grommet and hook for easy attachment to your golf bag. Large Size 16" x 24"
Manufacturer: JP Lann Golf / Nefouse Enterprises, Inc. Publisher: JP Lann Golf / Nefouse Enterprises, Inc. Studio: JP Lann Golf / Nefouse Enterprises, Inc. If you have any questions about this product by JP Lann Golf, contact us by completing and submitting the form below. If you are looking for a specif part number, please include it with your message.